Brunch @ Pink Sage & X’mas Comes Early? 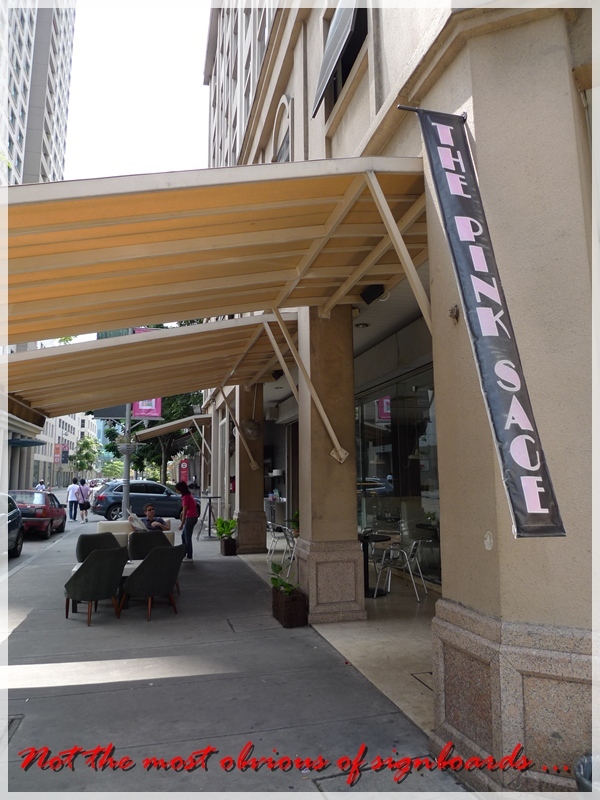 A diner in the heart of the city, yet not at the most strategic of location – The Pink Sage Diner & Pantry is not easily distinguished from the other shops along the road of Jalan Dang Wangi. Not until the many other food bloggers wrote about the almost hidden gem, that it started to gain momentum and appeared in most food reviews. Of course, I was up for brunch come early Sunday morning. Wait, how to have brunch EARLY in the morning leh? Hehehe …. Contradicting statements alright. Let me rephrase that; Waking up at a rather comfortable hour of 11am (I can sleep sooooo well on weekends), combining both breakfast and lunch into one was exactly what I had in mind. And when brunch sprang to mind, the name Pink Sage instantly popped up for more reasons than one. Jalan Dang Wangi is a road I am more familiar with, for it’s where Yut Kee (the Roti Babi specialist in Kuala Lumpur) is at, and the area is a mess of one way streets, but yet the names all sound different, easily discernible, in comparison to say, Jalan SS22/13/5252/7858 or whatever. 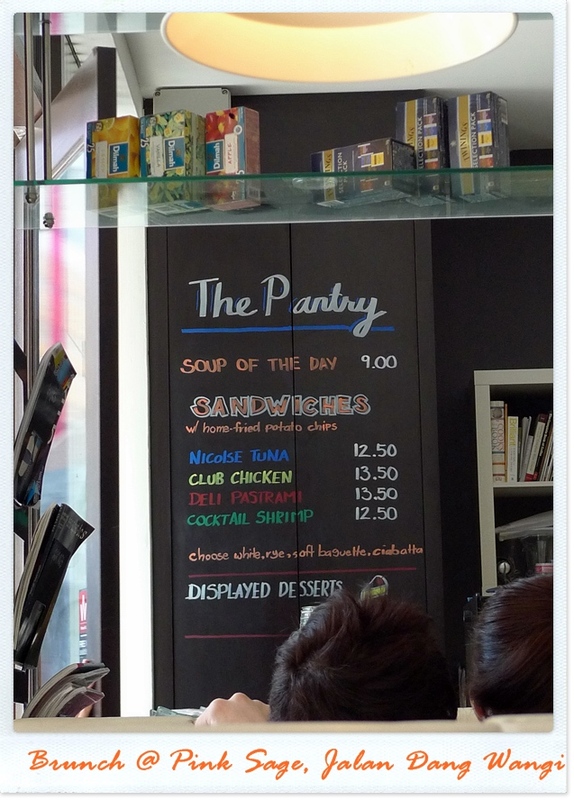 The place serves all day breakfast, from 8am until 6pm. Extensive menu nevertheless, not the average 5 items American breakfast fares. I was wondering should I post the menu I snapped at that point, but thought better of it. Not one who advocates for plagiarism, do hop over to their site HERE for the complete listing of the breakfast items. The Stacked Breakfast come highly recommended (with an asterisk beside the item on the menu AND various reviews before this, as well as the awakening of kiasu-ism instinct in me, whereby the more varieties the better), with eggs, chicken or lamb sausage (beef was not available that morning), streaky beef brisket, roasted potatoes, sauteed mushrooms, beans and toast. We picked the eggs to be scrambled (have them poached, sunnyside, over-easy, over-hard etc), the French Village bread rather than the white or rye varieties, and lamb instead of chicken. The sausage was good, though mushy and did not offer much bite like the average. The lamb was tasty, spiced and went down well on its own, diminishing the need for extra gravy or dipping sauce. The crispy beef brisket resembled a fat-less piece of beef bacon, the scrambled eggs was okay, though I did not like the baked beans and sauteed mushrooms. Easily can be shared between two light eaters, the Stacked Breakfast can also be ‘upgraded’ to a BIG Breakfast for an extra RM10/USD2.90, when everything is sized up. The Mozzarella Quesadillas arrived piping hot with melted cheese, and slightly sauteed onions. No meat in the fillings, so the flavour came from the oozing cheese and sweet caramelized onions only. The tortilla was crisp, pan-fried (or toasted?) slightly with minimal traces of oil, but the overall ensemble was not too appealing. Rather bland, if you would. The side of beans with sour cream was much better than the beans served with the Stacked Breakfast. The Buttermilk Pancakes were soft and fluffy, and prepared freshly. Dusted lightly with icing sugar, and served atop with a piece of strawberry. Drizzle some maple syrup for good measure, the pancakes qualified as good, simple breakfast. Miles healthier than the other greasy savouries, but took some time for the kitchen to dish them out. Blink and you’ll miss this charming corner lot on Jalan Dang Wangi. We did. Twice. Business Hours : 8am until 7pm. Directions : On Jalan Dang Wangi, at the ground floor of Wisma RA building. Jalan Dang Wangi is a one way road, so you’ll see this on your RIGHT, after passing by Yut Kee on your LEFT. The decorations at Sungei Wang Plaza was nothing to shout about, ditto with Low Yat (wait, does Low Yat even care?! LOL), and even The Gardens. I did not visit 1Utama nor Sunway Pyramid during this time-frame, but my pick would be Midvalley for the win. Simple, bland and dull may be right on, but one can’t deny that most wonderful feeling while walking around Midvalley, with most courts (north, south and main) decorated with such splendour. 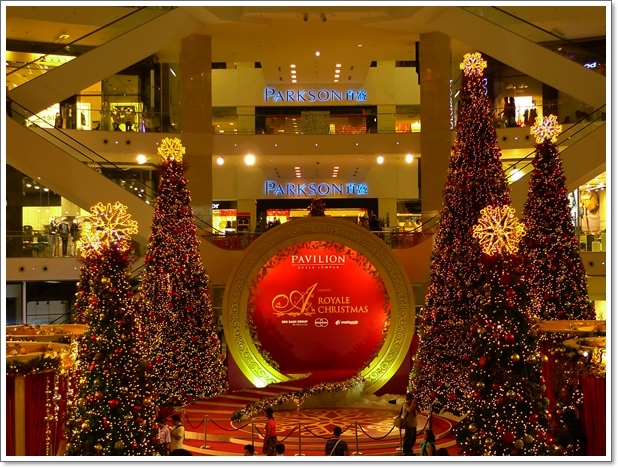 Christmas comes early in shopping malls in KL? 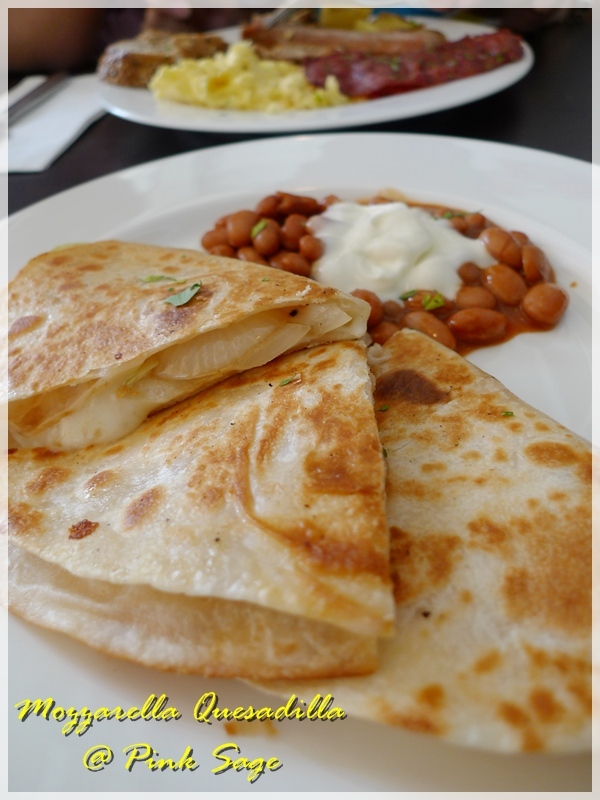 Brunch at Pink Sage on Dang Wangi, serving all day breakfast sets…. buttermilk pancake will be my choice!!! oh dear! what happened to the eggs and etc? Unka loved the mushrooms but i agree the beans tasted generic. It’s terrible, all these Xmas decoration! Makes me feel like I should be at home, with loved ones, rather than alone and shored up with work in the city! 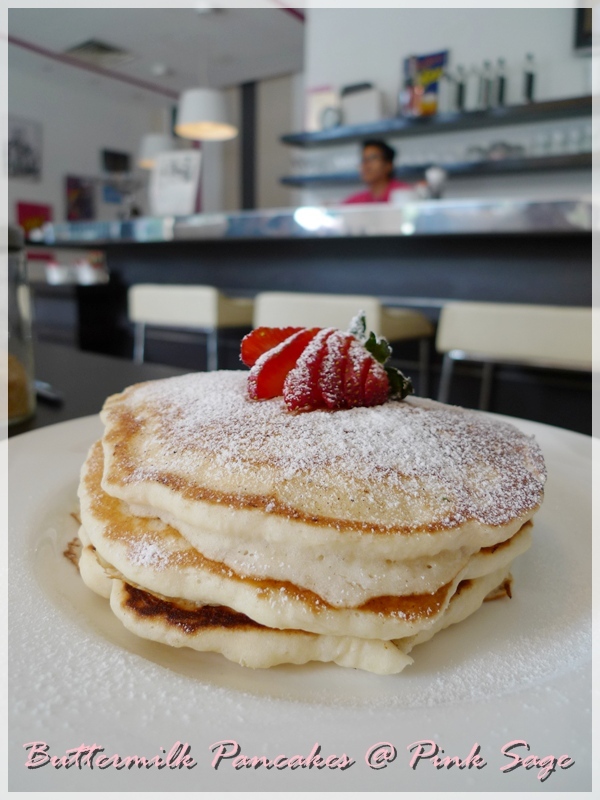 🙁 I have to try those pancakes at Pink Sage for myself – they might help me get over this homesickness! Aiks, but those decors are in the malls, perfectly glitzy, cheery and soothe the craving for holidays. So fast one?!! Earlier than most eh? Still wonder will there be a chance for me to dine in style, with turkeys, Christmas pudding and all, here in good old Ipoh. i luuuuurrrve brunches and all day breakfasts. seriously, penang needs more places that serve them! and oh yeah, gonna let you in on a lil embarassing secret abt meself. i hate sitting on bar stools by the bar/counter. cos i am so clumsy i’m deathly afraid i’d fall off them. .-= lingzie´s last blog ..Suffolk House Restaurant – Romantic Fine Dining =-. the christmas decos are amazing too. You’re most welcomed. There are a lot more shots of the Xmas decors, but I’ll leave it to everyone to savour the sights themselves. looks like an elegant place for breakfast. 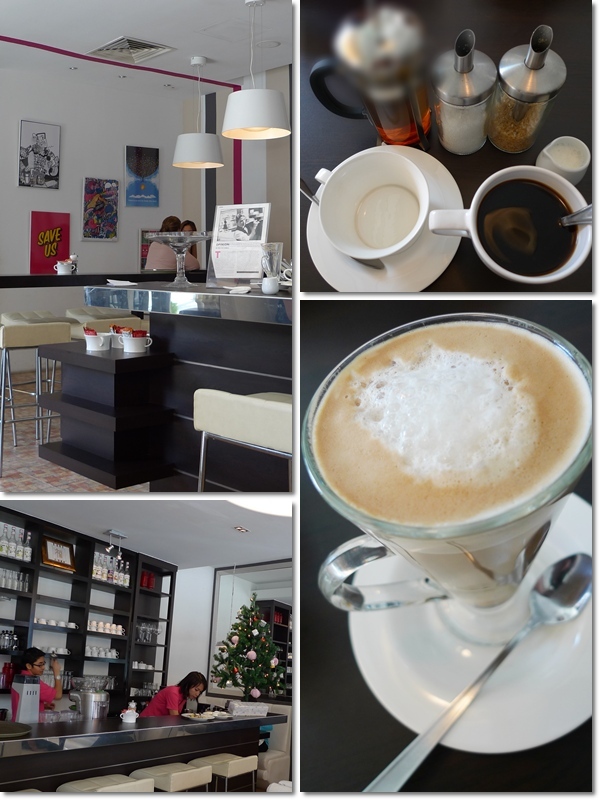 .-= Bangsar-bAbE´s last blog ..dr.CAFE @ Solaris Mon’t Kiara =-. Yut Kee was no doubt, crowded like no other. They should’ve expanded somehow. Saw the roast pork with apple sauce. Still available past 1pm on a Sunday. Maybe the novelty has worn off? Yeah, every single mall in Klang Valley is up against each other for the annually coveted prize of BEST Xmas decor. Good for photography of course. Yummy pancakes! LOL at how you missed the place twice! I wonder if this place is walkable from Dang Wangi LRT station eh? I think yes. If you know where’s Yut Kee, then you should be able to find this place. You know Yut Kee, ai wei? It’s opposite of Yut Kee, a short walk away. It’s a corner lot, and if you know Capsquare, then you will be able to find this place. last time you couldn’t join us at Pink sage.. now u finally made it there!!! The stacked breakfast was nothing compared to the Big Breakfast… I was stuffed to the brim that day bro! 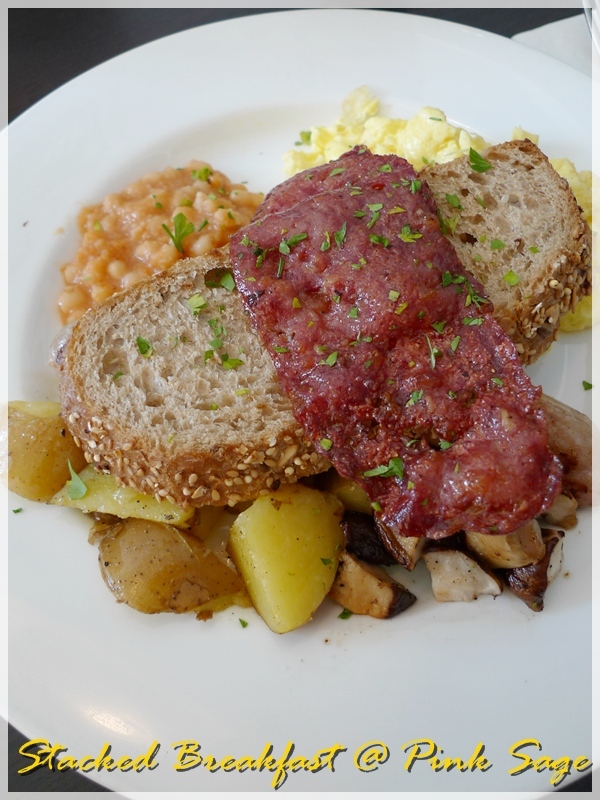 Undeniably… this place is definitely one of my firm favourites to eat breakfast. If only it’s located somewhere in PJ… lol!!! How’s Christmas shopping?? Got what you needed? Yeah, I nearly made it for breakfast the other day. BIG Breakfast? Hahaha, maybe on days when I feel like skipping lunch. And dinner. 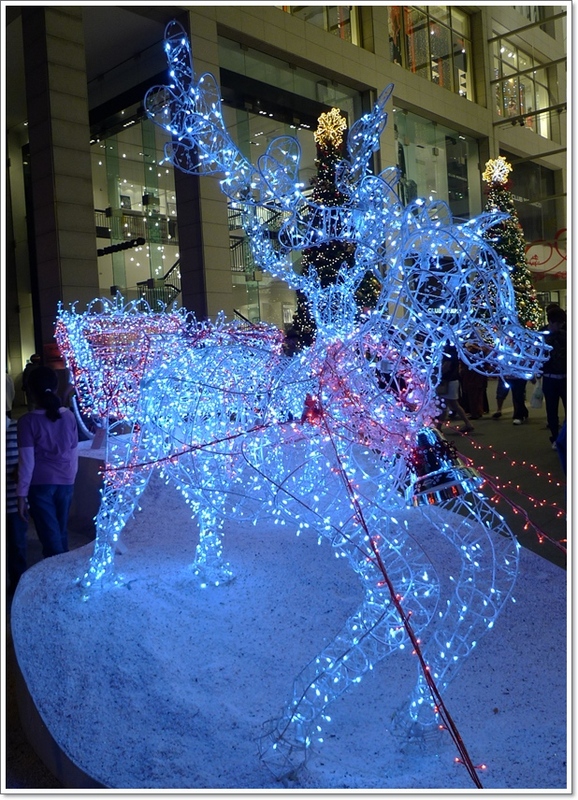 Hehhee …..
the decorations are the main reason i go to most shopping complexes in kl!!!! haha, from pavilion, i thought u woulda continued on to the new foodcourt at lot 10! i’m looking forward to that. gosh, i must be the only one who has not been to the pink sage. sigh. Hutong? Yeah, tempted to. I went to Jalan Alor for chicken wings on the night I went to that area. Cz heard that the food runs out pretty fast at the food court, right? *looks at the prices terus pengsan! LOL!!! ha? OKlah ….. not that bad also. Hehehe. Not that I’m eating like this everyday ma. I love Christmas decos – give me the Chrismassy feeling! The one in Pavilion is not too bad! You didn’t capture the snow? I think they are raining snow every night at 8pm till Xmas day. 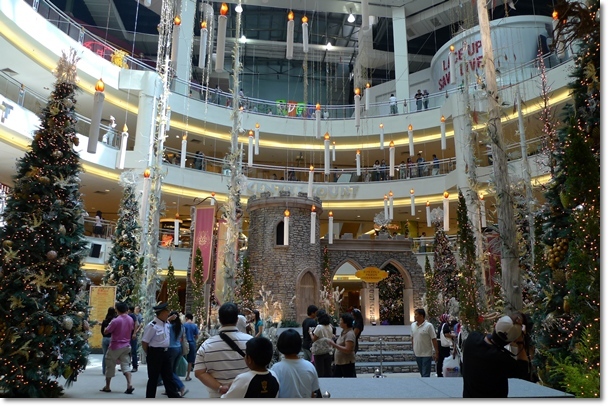 I think Mid Valley always have the best decos – I remember they won awards before, right? Yeah for 2 years straight I think. I was there for a while only. They even have snow?! Sunway Pyramid should be nice – I haven’t seen them yet! I’m surprised by the lack of deco in The Gardens! It’s such a classy mall – they should really put up something nice and classy! I also usually like deco in The Curve and 1Utama – but somehow this year, The Curve was not as nice as last year’s rotating Xmas tree! Nope. 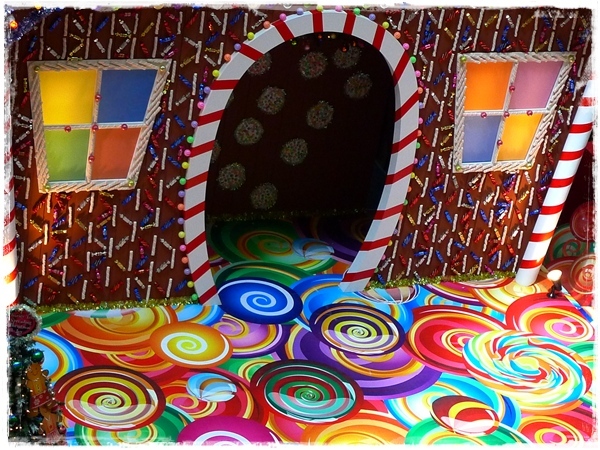 It was only the candy house, kinda colourful yet very childish. Just candy house? Now that’s a huge disappointment! Maybe the giant tree is not so bad after all! LOL!